Full-size pickup trucks can combine hauling capacity with ample seating. They can also deliver these advantages while delivering cruising comfort. The main drawback is that the truck bed is exposed to elements. Everybody knows that pickup trucks have a killer feature: the truck bed. Other types of vehicles can be more practical for everyday use, but pickups come in pretty handy when you need to move house, engage in some heavy home improvement, serious gardening, or simply to move around everything from mountain bikes to kayaks. 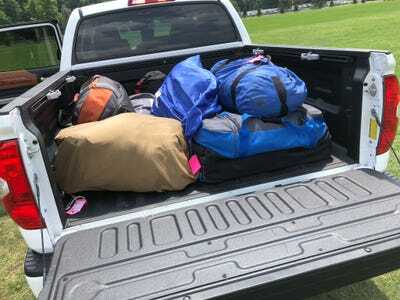 For just this reason, a lot of folks keep around a smaller pickup as a sort of weekend vehicle. But there are times when choosing a full-size pickup makes sense. Full-size pickups rule the US auto market. 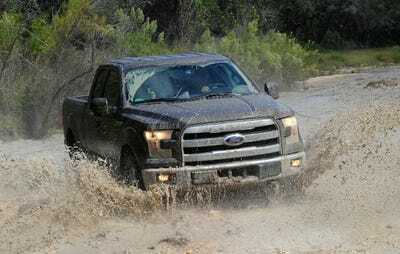 Ford, General Motors (with its Chevy and GMC brands), and Fiat Chrysler’s RAM sell millions of big pickups annually. They’re quite popular, and quite profitable. But they’re usually favoured by people who have serious use-cases. People like farmers, ranchers, and contractors. They demand hauling capacity, towing credibility, and legitimate offroad chops from their pickups. Every once in a while, a citizen such as myself gets to appreciate the virtues of a full-size pickup. This happened recently when I had to carry four kids and their gear back from summer sleepaway camp. I’ve driven plenty of full-size pickups, but I hadn’t previously thrown this challenge at one. My chariot was a Toyota Tundra. Last year, I pressed a classic family-hauler, the Toyota Sienna minivan, into service. As you can see, it handled the task. 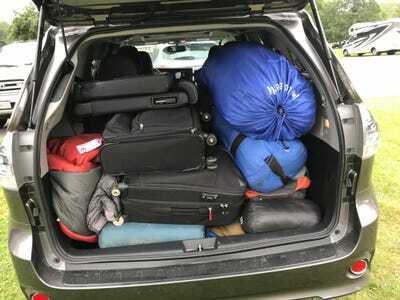 But I really had to work my packing skills to get four kids’ gear into the cargo area. Here’s more or less the same load, but in 2018. There was also ample seating space for four youths, in the CrewMax configuration of the Sienna’s sibling, the Toyota Tundra. Yes, it’s true that good weather is a prerequisite for throwing everybody’s stuff into the bed. But as you can see, a tonneau cover would have kept rain out, as would a cap from an aftermarket outfit like Leer. Even a simple tarp with some tie-down would have been OK in my situation. 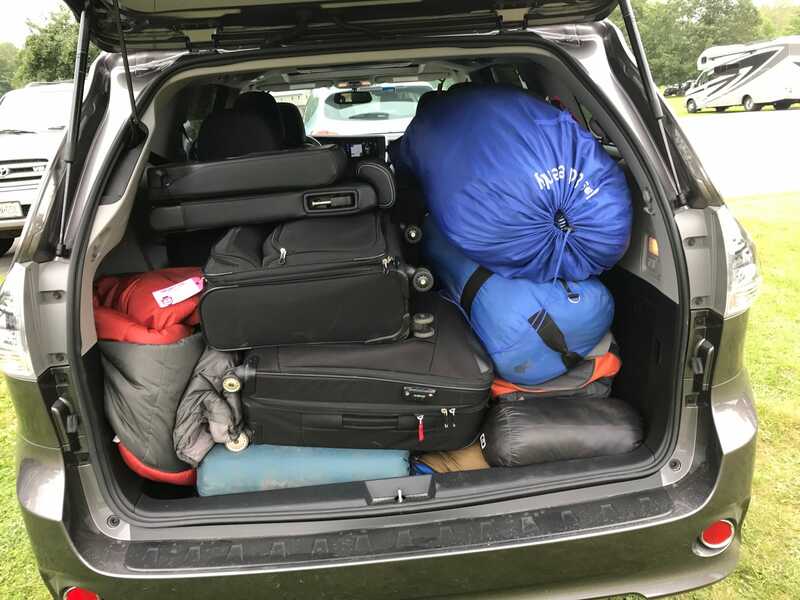 You know how long it took to load this much gear? Less than five minutes. The other factor is that while smaller pickups can also accommodate a lot of stuff, full-size pickups often have a more plush ride. That was certainly true of the Tundra, which cruised in near-total comfort for 200 miles.